Indian Air Force (IAF) has released a notification for the exam Air Force Common Entrance Examination Test (AFCAT 02/2018). AFCAT Application (02/2018) has been started from June 16 to July 15, 2018. Other details like Age Limit, Educational Qualification, Application Fee are given below. Branches, Course Number and Vacancies. For Flying Branch:Candidates should have completed Graduation in any discipline from a recognized University who have attained minimum 60% marks and have passed Maths & Physics at 10+2 level OR BE/B.Tech degree Or cleared Section A & B examination of Associate Membership of Institute Engineer (India) OR Aeronautical Society of India from a recognized University with minimum 60% marks or equivalent. Technical Branch:Candidates should have possessed 10+2 with Physics and Mathematics and a minimum of four-year degree graduation/integrated post-graduation qualification in Engineering/ Technology from recognized University/Institute OR cleared sections A and B exam of Associate Membership of Institute of Engineers. Ground Branch:Graduation Degree/ B.Com Degree/ MBA/MCA or MA/M.Sc Degree from a recognized University/ Institution. Note: Candidates are advised to refer official notification for detailed information on eligibility criteria. EKT (Engineering Knowledge Test): The EKT will be conducted immediately after AFCAT. It would be for 45 minutes. 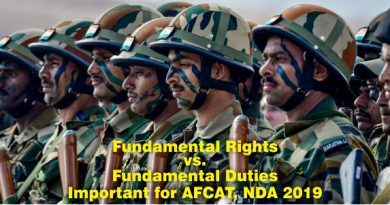 Those candidates who are opting Ground Duty (technical) branch, it is mandatory for them to pass both AFCAT & EKT. Candidates who qualify AFCAT/ EKT will be called for Further testing at one of the Air Force Selection Boards at Mysore, Gandhinagar, Dehradun or Varanasi. Those who opt for Flying branch can opt for Dehradun, Varanasi & Mysore only. Result: Name of selected candidates will be uploaded to the official website of Indian Air Force.